Previously, the social networking site provided a way for users to instantly export their contacts. It was a useful feature for people looking to manage their contacts elsewhere. Under a change made Thursday, users now must make a request to download their account data. In a page describing the new process, LinkedIn says users will receive an email within 72 hours with a link to download the archive when it is ready. A link to the instructions for the process appears in very small type on the LinkedIn export settings page. The change was reported earlier by VentureBeat. The change might be aimed at keeping people more active on LinkedIn’s site, but it has already annoyed some users. “Bummer news of the day,” tweeted Gary Kayye, who teaches a course on new media at the University of North Carolina at Chapel Hill. The data archive sent to users includes a variety of content. 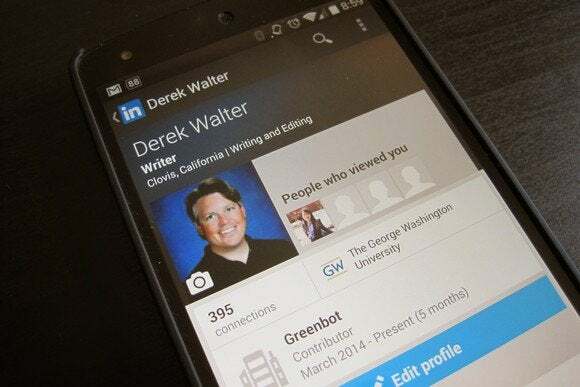 In addition to first-degree connections, it includes shared posts, login history, uploaded photos, and the targeting criteria that LinkedIn uses to serve ads to the user.